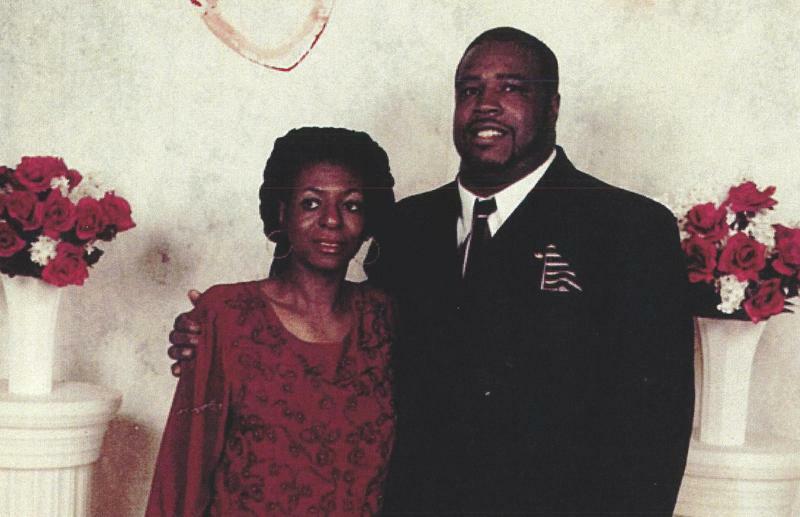 Most of Steve Kenan was laid to rest in St. Petersburg after his unexpected death in 2013. But not his heart. That organ, preserved in formaldehyde, has traveled more than 1,000 miles to be studied by pathologists in three states. So far, they can’t agree on what killed him; was it his chronic heart condition or a medical mistake? It’s an important question to St. Anthony’s Hospital, where Kenan died three hours after undergoing a non-emergency procedure that drained liquid from his chest. The St. Petersburg hospital’s lawyer, Roland Lamb of Tampa, says he has shuttled Kenan’s heart “all over the Southeast” in his Lincoln. Lamb has to preserve the chain of custody, so he has no choice. “They won’t let me take formaldehyde on a plane,” Lamb said. The traveling heart is the focus of a smoldering medical-malpractice suit filed last year by Kenan’s widow Alice Kenan. The defendants are St. Anthony’s, which is part of BayCare Health System; a cardiology group connected to the hospital; and three of the group’s doctors: Shalin Shah, John Finn and Amit Srivastava. Apart from the heart, the medical-malpractice case has another unusual feature: A claim that the doctors’ errors were caused in part by “financial incentives” between the hospital and cardiology group, Bay Area Heart Center. Federal and state laws say hospitals can’t give doctors money or perks as an inducement to get more patients admitted or more procedures done, which is what the lawsuit claims happened. But St. Anthony’s argued in a court filing that Straw is floating “baseless conspiracy theories” to distract the court from focusing on what should be a simple medical negligence case. The defendants and their attorneys have turned down requests for interviews with Health News Florida, speaking only in pretrial hearings. Attorney’s referred all questions to BayCare, which said through a spokesperson that the company does not comment on ongoing litigation. In a court filing, St. Anthony’s said it did nothing wrong in providing money to the cardiology group to help recruit a new specialist, because that’s a “safe harbor” -- an exception -- that the law allows. Kenan, a 56-year-old saxophone player and freelance pastor, had a heart muscle disease called cardiomyopathy. Although the records in the court file don’t say how long he was ill, it was long enough that his heart had become enlarged and tests showed the amount of blood it pumped was lower than normal. His widow’s attorneys, Straw and his partner Matthew Emerson, said the test results showed Kenan was stable, in no pain and in no immediate risk of a fatal heart event. So they question Finn’s decision to send Kenan for a procedure called “pericardiocentesis,” in which a tube is inserted into the chest so the liquid can drain. In a pretrial hearing that Health News Florida attended earlier this month, Pinellas-Pasco Circuit Judge Jack Day revealed the amount of money contained in the recruitment agreement. St. Anthony’s paid the Heart Center more than $300,000 for the first-year salary and costs for an interventional cardiologist to do cardiac catheterization and other lucrative blood-vessel procedures. Srivastava, the interventionist who was hired, is the doctor who performed the procedure on Kenan. St. Anthony’s attorney said at a hearing that such hiring agreements are legal as long as the recruited doctor can practice at other hospitals, as well. Srivastava has privileges at five hospitals, Lamb said. Also, this is not the only area case where such agreements have been called into question. An unrelated whistleblower case pending in federal court claims that physicians based on the St. Anthony’s Hospital campus – the Heart Center and Suncoast Medical Clinic -- were given sweetheart deals on leases as an incentive to admit more patients. Bingham v. BayCare Health System was brought by real estate appraiser Thomas Bingham, based in Nashville. In August 2015, U.S. District Judge Steven D. Merryday denied BayCare’s motion to dismiss the case. It is still pending. St. Anthony’s is one of 14 non-profit hospitals and physician practices around the Tampa Bay area that make up BayCare Health System, working together under a joint operating agreement. BayCare, based in Clearwater, is not a defendant in the Kenan case. Kenan initially met with Dr. John Finn at the Bay Area Heart Center on Jan. 8, 2013, according to a memo in court files. Finn consulted with his colleague Dr. Shalin Shah and then directed Kenan to go to St. Anthony’s that afternoon to have fluid drained from the space around his heart the following day, the memo states. It remains unclear why Finn ordered Kenan to be admitted through the emergency room, since he was reportedly in no distress. Alice Kenan’s attorneys argued that the emergency admission could be a maneuver to get around an HMO requirement for pre-authorization for elective procedures, an attempt to gain legal protections in case of a lawsuit or a way to pad the hospital bill. “This case is very strange. Actually, it’s crazy.” -- Adam Levine, The Florida Legal Advocacy Group of Tampa Bay. The hospital’s attorney suggested there was nothing sinister about it. Lamb said doctors routinely admit through the ER to get tests and reports back more quickly. Finn and others at Bay Area Heart Center who might know why Kenan was sent to St. Anthony’s emergency room are under instructions from their lawyer, Chris Schulte, not to talk about the case. However, court filings say that on Jan. 9, 2013, Srivastava did three other procedures at St. Anthony’s before tackling Kenan’s. When it was completed, Srivastava left St. Anthony’s, having been summoned to Northside Hospital to treat an emergency. The lawsuit says no cardiologist saw Kenan after that, even after an alarm sounded, indicating his blood-pressure had plummeted. Nurses received instructions over the phone, the suit says, but delayed carrying them out for more than an hour. Srivastava rushed back to St. Anthony’s, the complaint says, but by then Kenan’s heart had stopped and resuscitation attempts were under way. They weren’t successful. Alice Kenan requested an autopsy, which was carried out less than a week after her husband died. But it didn’t end the questions. And more autopsies would follow. Adam Levine of Clearwater, who runs The Florida Legal Advocacy Group of Tampa Bay and is not connected to the case, cited the numerous autopsies and traveling remains as unusual features for a medical malpractice suit. The second pathology report described in the court file is from forensic pathologist Dr. Kimberly Collins, who was hired by Kenan’s widow in Nov. 2015. Collins, of Newberry Pathology Associates in Charleston, S.C. (Link to: http://www.newberrypathology.com/) does autopsies for county coroners as well as private next of kin. She is a director of the National Association of Medical Examiners. Reached by phone in Charleston, Collins said it isn’t unusual to conduct a second autopsy and that the sections of Kenan’s heart were preserved well enough to make it possible. She said she wasn’t surprised to find the puncture, but “it was unusual to find a piece of the instrument” still there. Carol Gentry is a reporter for WUSF in Tampa. WUSF is a part of Health News Florida, which receives support from the Corporation for Public Broadcasting. 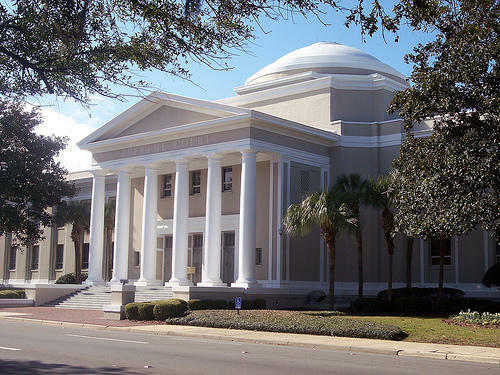 More than a dozen years after a fierce political fight about the state's medical-malpractice laws, the Florida Supreme Court on Thursday heard arguments about the constitutionality of limits on damages in malpractice lawsuits. In a case involving a $35 million arbitration award, the Florida Supreme Court on Thursday said it will not take up a dispute about whether a physician is able to pursue a "bad faith" claim against a medical-malpractice insurer.